Every maker has a story. Be a part of Spoiled Girl Jewelry's story by placing an order, leaving a review, and seeing your review appear here. Fine Silver (.999FS) pendant made individually from artist made mold. The pendant hangs from an oxidized large link, drawn cable sterling chain. 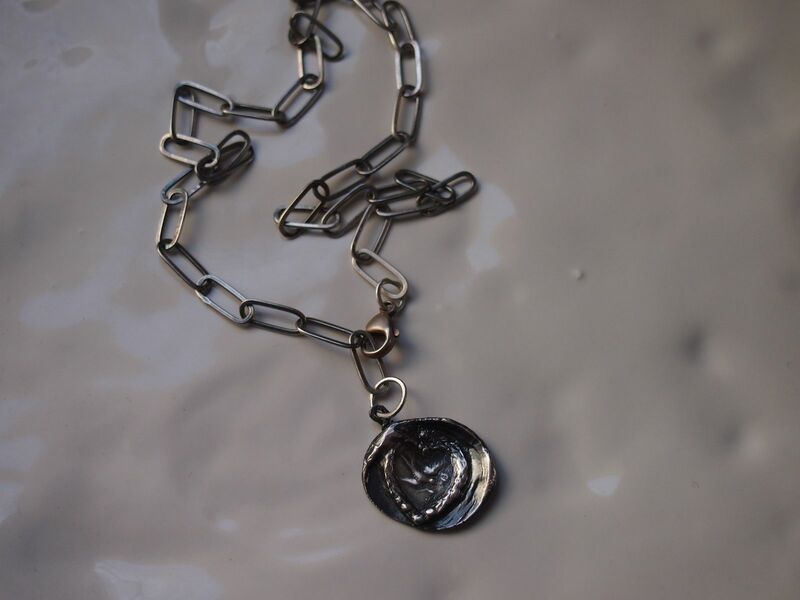 The necklace features a front clasp.